The Twilight DLX from Excalibur is designed for the serious bowhunters who need a powerful scope with high performance optics. While it is significantly larger and heavier than some other crossbow scopes, it is worth the added weight when you look through the lens. Images appear crisp and clear, even in low lighting and this scope also comes with a durable construction that can withstand almost any conditions. While there aren’t any real disadvantages associated with the Twilight DLX, some consumers have mentioned that it would be helpful if the setting for arrow speed could be locked into place. This would prevent it from accidentally being knocked out of calibration which can occur when it is packed with the rest of your gear. 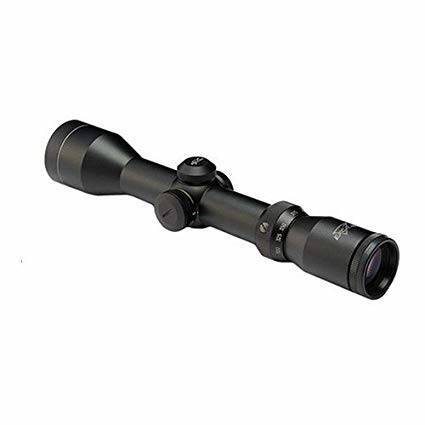 You would expect this large 12.9 inch long scope to have a durable construction, and Excalibur does not disappoint. Weighing slightly over one pound it is designed to withstand the rigors associated with use outside. Its durable construction also allows you to pack it with the rest of your gear without worrying about potential damage. The Twilight DLX is constructed from durable aircraft grade aluminum and can withstand the occasional bump or fall, though you might have to reset the calibrations. It is also resistant to water and won’t fog up in the early morning hours. As an added bonus, this crossbow scope is also resistant to shock. With the 44mm lens and 30mm tube you will be able to clearly see your targets. The lens is constructed from high quality Leupold glass for exceptional clarity, and it is fully multi-coated to gather in plenty of surrounding light. This ensures that you don’t have to worry about the lens fogging or your visibility being affected by annoying glare. With this scope you never have to worry about a potential target coming into range without being spotted. While the powerful 44mm lens gathers plenty of light, it is the 30mm tube that ensures that it reaches your eye. This will give you a significant advantage when you are hunting game during the optimal low light hours. The field of view is somewhat lessened with the 6x magnification, but it is still in the 50 foot range at 100 yards. You will also appreciate the illuminated reticle when you are out before sunrise or after sunset. This heavy scope is actually easy to mount on a crossbow, though you do need to order the 30mm D-rings separately. You will also appreciate how easy it is to sight the scope in. It is intended for use on crossbows capable of firing speeds between 300 fps to 400 fps, and comes with two dials for adjusting wind and elevation. There is also a dial for setting the velocity to ensure precise accuracy. The reticle lines will increase every 10 yards to match the speed of the crossbow for consistently accurate shots. It is easy to sight this crossbow scope in when you are using a faster bow, but it can be more difficult if you are firing at speeds below 300 feet per second. You will also appreciate how well the scope holds at zero so you don’t have to constantly reset it when you are out in the field. Serious hunters need a crossbow scope that is durable, powerful and accurate to ensure that they have a successful season, and that is exactly what they get with the Twilight DXL from Excalibur. Constructed from strong aluminum and resistant to shock, water and fog, it is designed to last through all of your hunting trips, while still providing your with an exceptional performance. The high quality optics will display bright and vivid images, even in low light settings. 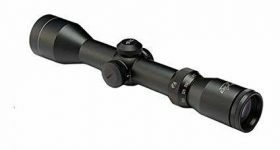 Easy to sight in even in the field and designed to be used with fast crossbows, this scope might be just what you need to bag a trophy bull or buck.